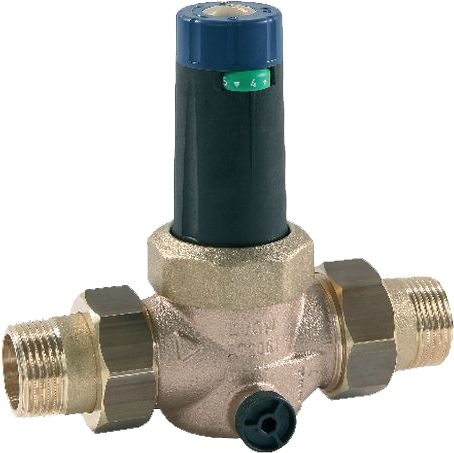 High-quality pressure reducing valve with threaded unions on both sides, a strainer and pressure gauge connections G ¼“ on both sides, with outlet pressure indicator. DVGW approval, acoustic protection class 1. Body made of gunmetal.